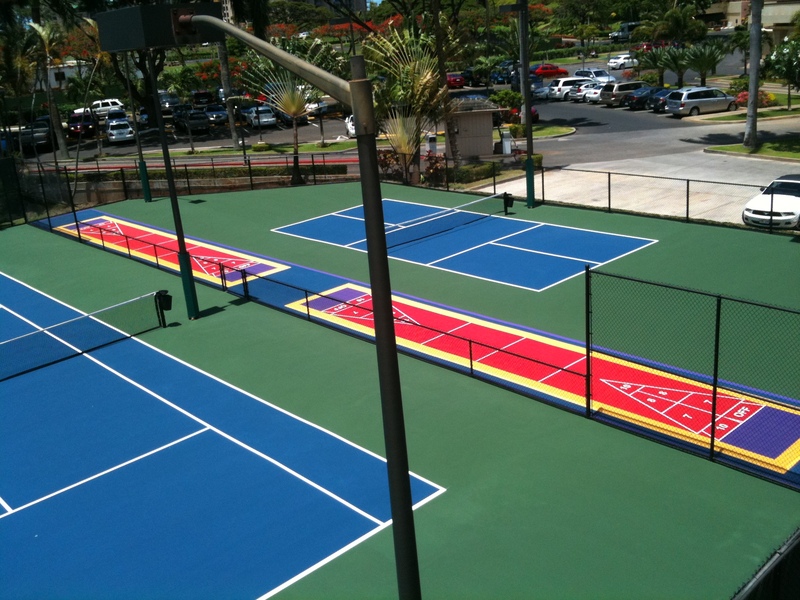 For more than a decade, All Court Hawaii has been the state’s leading provider of athletic court surfacing services, including design, renovation, repair, construction and more! 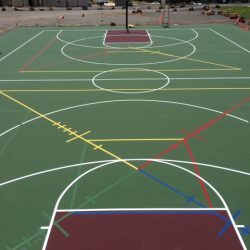 From tennis and pickleball courts, to basketball and shuffleboard courts and a wide variety of other playing surfaces, we’ll make sure it looks pristine and stays in great condition. Contact us today for a free estimate. We’re a proud, A-plus rated, accredited member of the Better Business Bureau (BBB) of the Northwest Pacific. Our services extend to resorts, tennis clubs, condo complexes, country and beach clubs, schools, playgrounds, parks and private residences, among others. Our services are available throughout Hawaii! We also provide free estimates and consultations for all our customers. In addition to resurfacing and court repair services, we’re also a provider of fencing, lighting, nets and poles. Count on us to use only the very best products in the industry for a job well done, including products from Guardian, Armor, SealMaster and SportMaster. 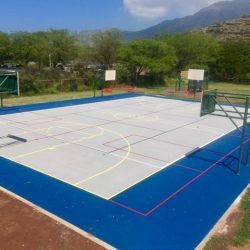 Have an athletic court that’s seen better days? 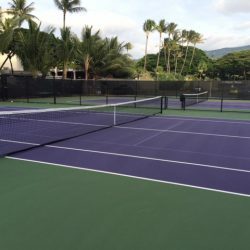 If there are cracks, blemishes, discoloration or other damages, give All Court Hawaii a call for athletic court repair in Hawaii. We deal with all types of damages, with the intent on restoring both the beauty and integrity of your courts. 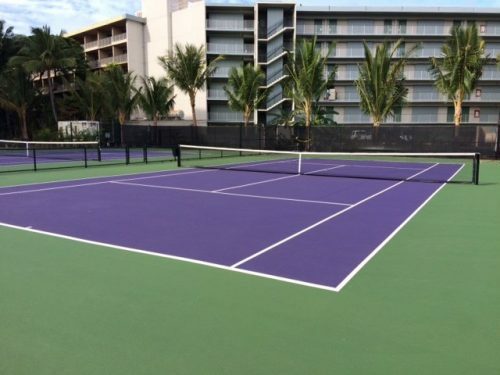 Our experienced, knowledgeable staff understands the fundamental techniques to restoring all types of courts, allowing us to deliver basketball, tennis, shuffleboard and pickleball court resurfacing to Hawaii customers, regardless of your court’s specifications or features. From a few simple crack fills and patches, to complete stripping, repairs and resurfacing, count on us to put in the work necessary for a job that’s done right, that will last for years to come. 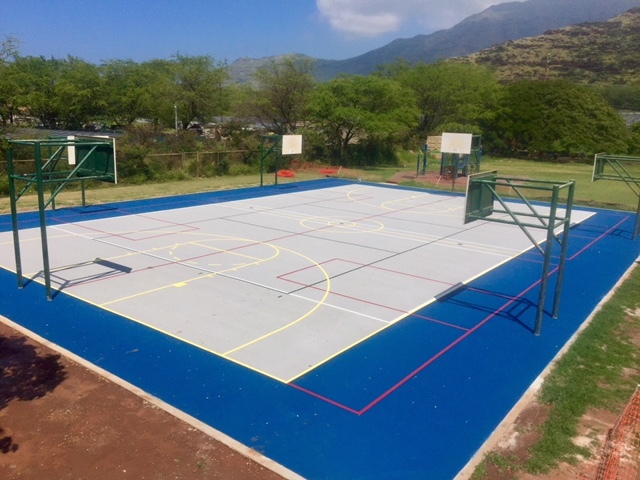 In addition to basketball court repairs and tennis court resurfacing in Hawaii, we’re also an established designer and installer of athletic courts. 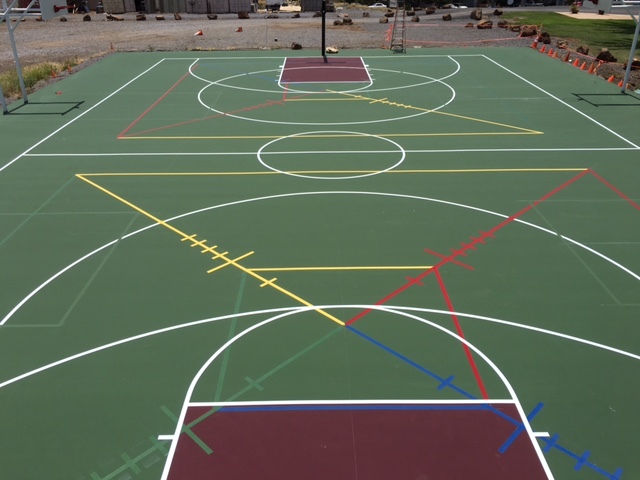 We handle all phases of the project, including excavation and installation, court design and branding, and more. We’re happy to do work for all different types of clients, including condo associations, country clubs, parks and recreational areas and more. 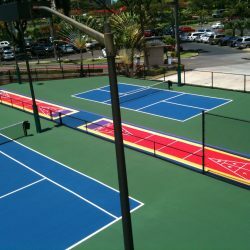 We even do general asphalt sealcoating and striping in addition to our tennis court repair in Hawaii, delivering maximum value to each and every one of our customers and their unique project. Contact us today and let us show you why we’re the state’s premier athletic court surfacing company. 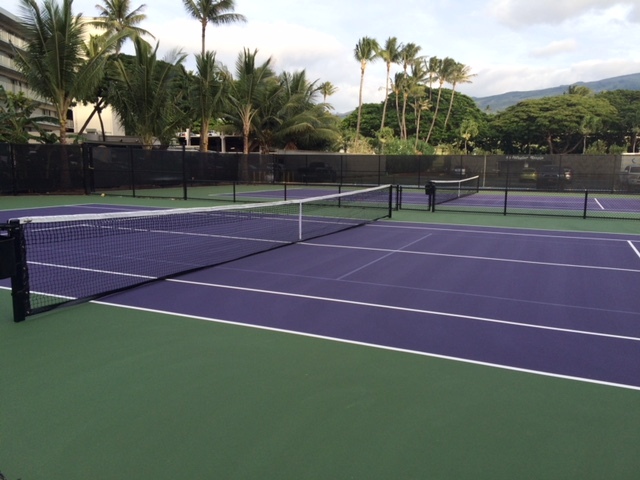 Get rid of cracks, restore coloring or design your own athletic court—anything you need, All Court Hawaii is prepared to deliver it! Contact us today for a free estimate on surfacing.